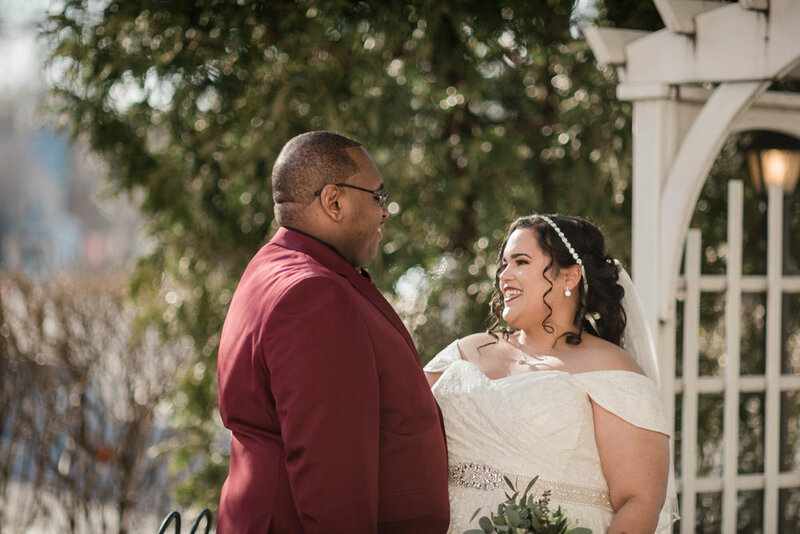 Stephanie and Anthony are friends first and foremost and they built up their deep connection over the course of a year before officially beginning to date in 2004. Fast forward twelve blissful years, Stephanie and Anthony were expecting and Anthony was in the midst of planning Stephanie a big surprise baby shower. 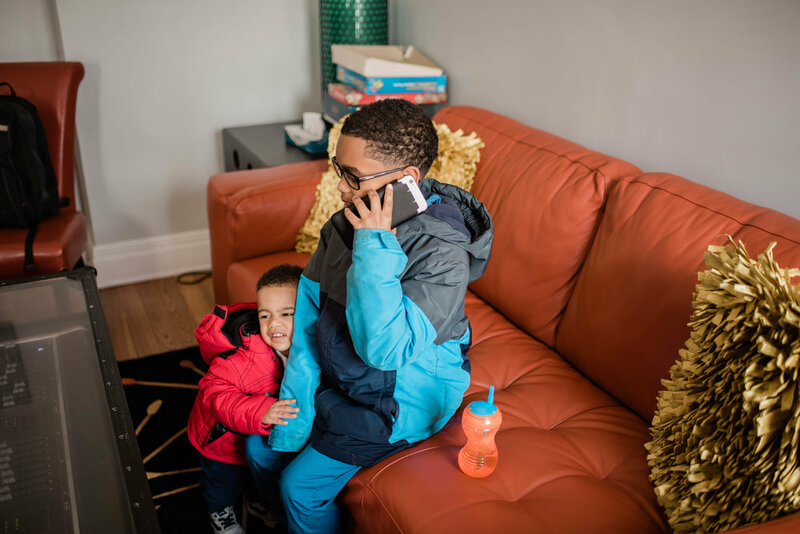 To keep everything under wraps, he offered up excuses to leave the house, like "I'm going to the store," so he could sneak out and plan everything with Stephanie's family and friends. However, kept the biggest surprise to himself and shocked the whole party when he dropped to one knee, mid-party, and asked Stephanie to be his wife. Stephanie was thrilled and, of course, said "Yes!" 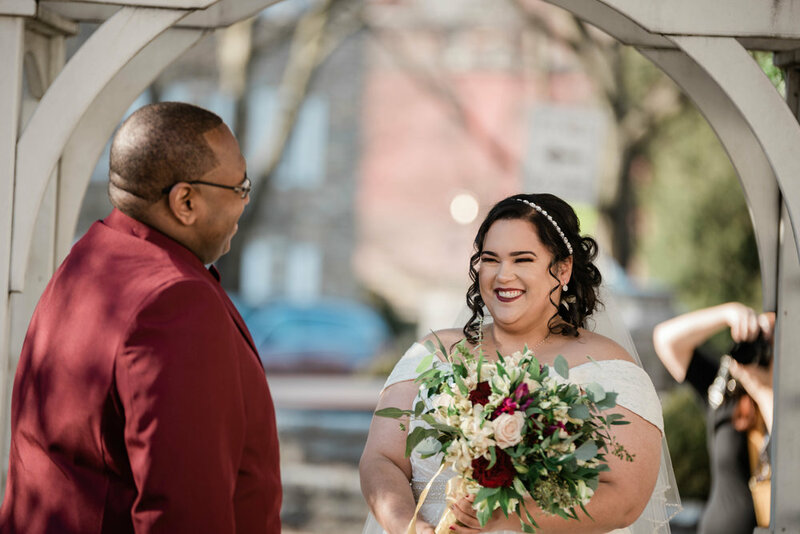 They wed March 10th, 2018 at General Sutter in Lititz, Pa. "I fell in love with the historic charm of the building and they offered a great package to us," said Stephanie. Living around Amish country, they were very used to seeing big barn weddings, which is just not this couple's aesthetic. 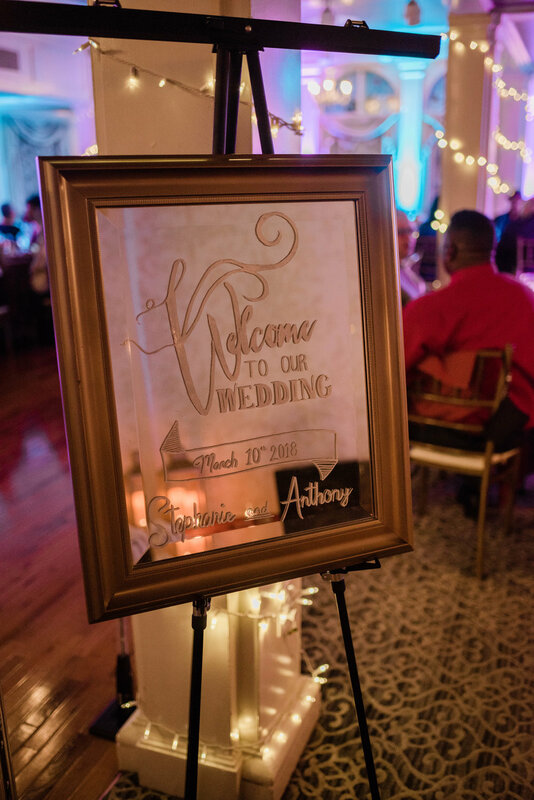 When they visited General Sutter, they were inspired by the vintage architecture and the unique charm of the building, making their day more unique than other weddings in their area. 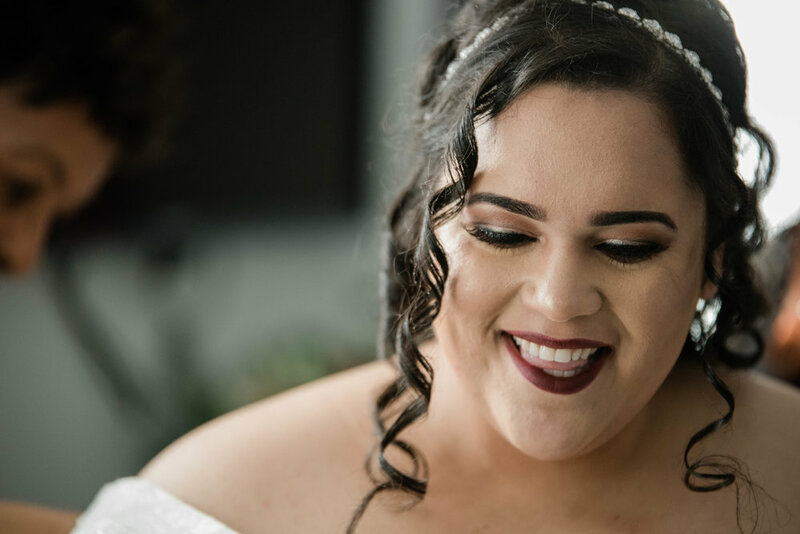 Stephanie's wedding dress came from Posh Bridal boutique, a Christina Wu design boasting romantic lace, cap sleeves, and a gorgeous beaded belt. The bridesmaid dresses were an an Amazon find and the groomsmen rented tuxes from a local tux place. Anthony's red suit jacket was another Amazon purchase, which is where he also found his shoes, red bow tie, and suspenders. 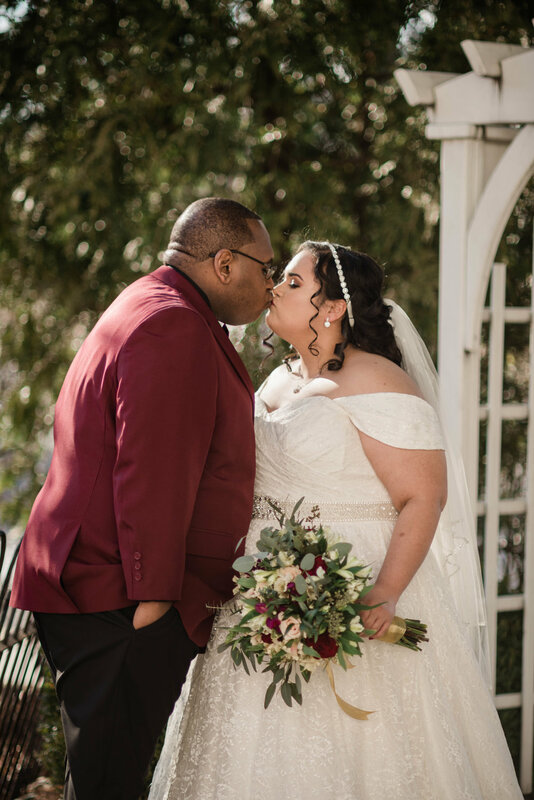 The venue provided all the linens, tables, and chairs so the couple did not have to worry about sourcing their own and El Jardin, local flower shop in Lancaster, Pa., supplied and arranged all their flowers. Stephanie loved that they were reasonably priced and was blown away by their beauty. They were strict about keeping their $8,000 budget so Stephanie made sure she was very well-organized and planned for the day well in advance by making the centerpieces herself with silk and foam flowers. Vows were exchanged before giant windows in a breathtaking hall under a vintage chandelier. 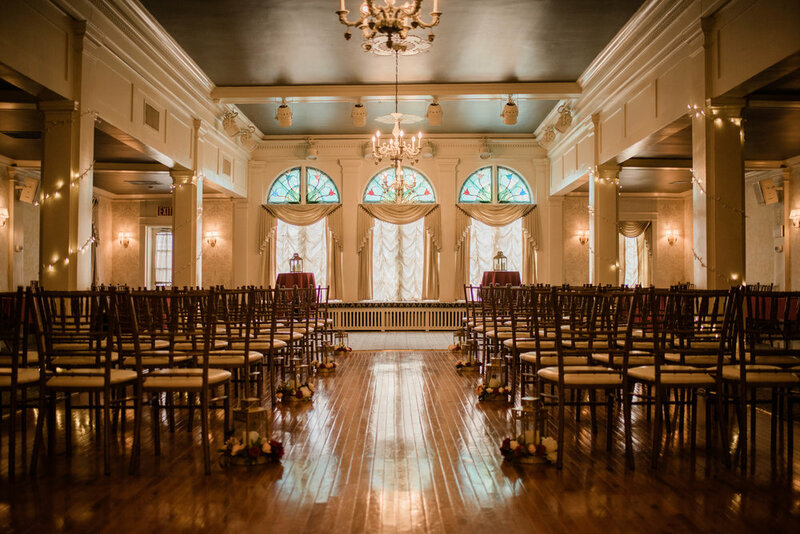 The ceremony room was grand and spacious, which put a spotlight on the serious and moving promises the couple made to one another in their vows. 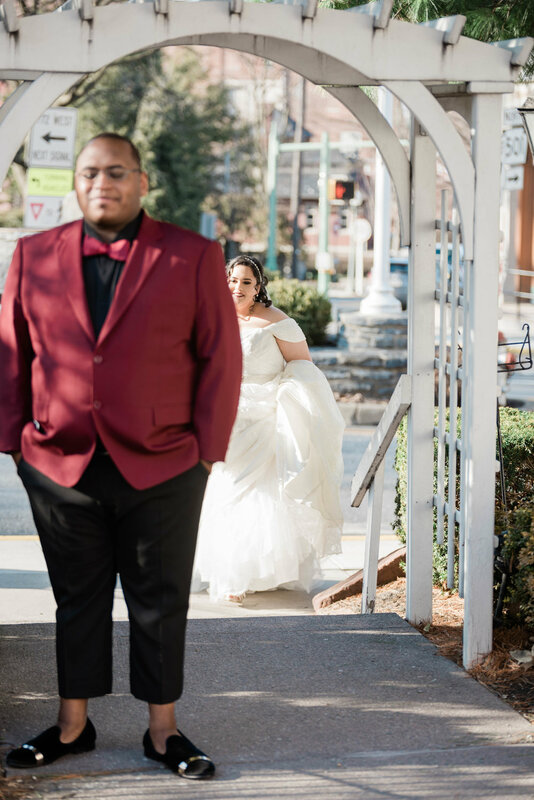 Their sons served as ring bearers, which was an adorable way to include the whole family and the lovebirds held hands for the entire ceremony, not even letting go for their first kiss as husband and wife. The couple impressed their guests with fine food and and entertainment. Their decor was chic with an antique flair, accented in deep red, further referenced in Anthony's jacket and bow tie. 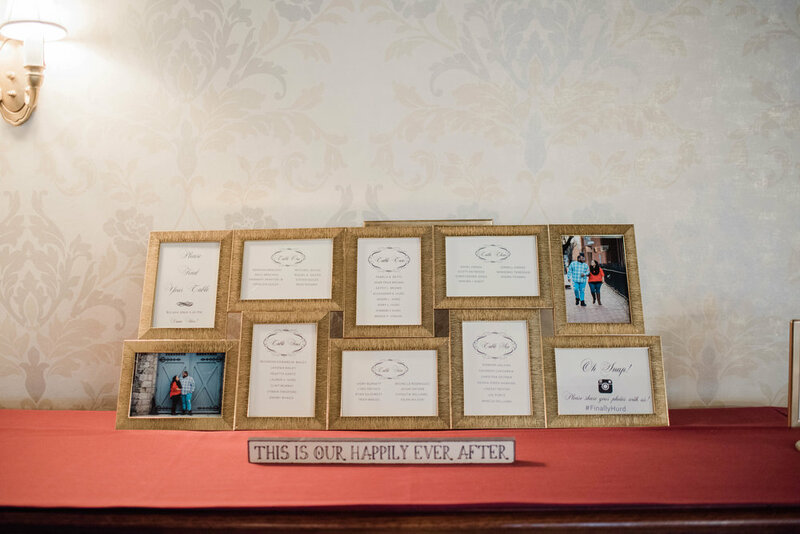 With a smaller guest list of 55, they wanted each guest to have fun and feel like they were involved in their day, which they were! 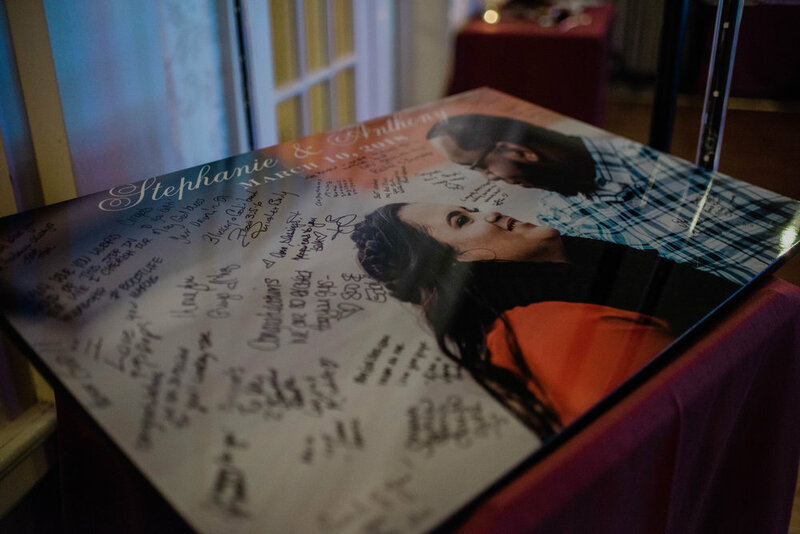 Their loved ones complimented both their camaraderie and the organization of the day, because the attention to detail was so fine. 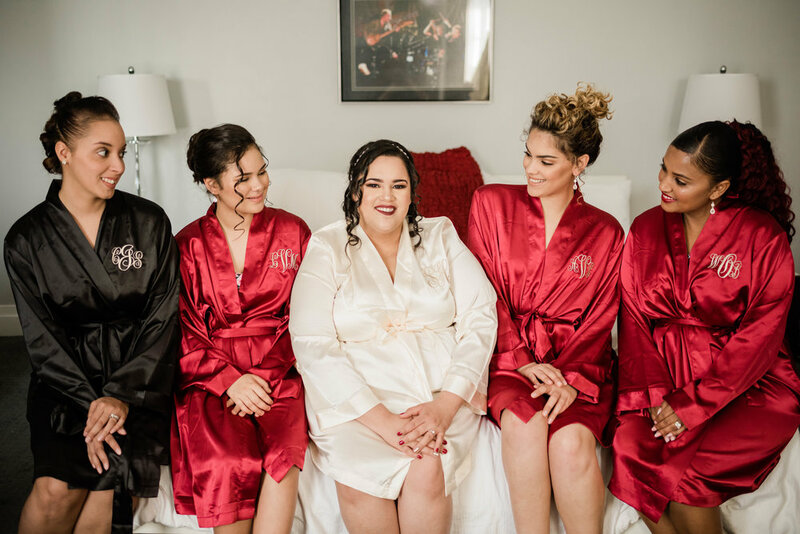 Stephanie felt that having a more intimate guest list allowed them connect with their friends and family on a more intimate level since they got to spend quality time with everyone that they invited. Stephanie's favorite part of the wedding day was the speeches. Their oldest son gave a heartfelt speech about how happy he was that they were married and Anthony's father made everyone cry with his powerful words. The raw emotion in the speeches was Anthony's favorite part of the day as well, along with dancing with his mom. One of the other standout parts of the reception was their photo booth, complete with props. It was a great way to get everyone to loosen up and they loved flipping through the funny photos at the end of the night. 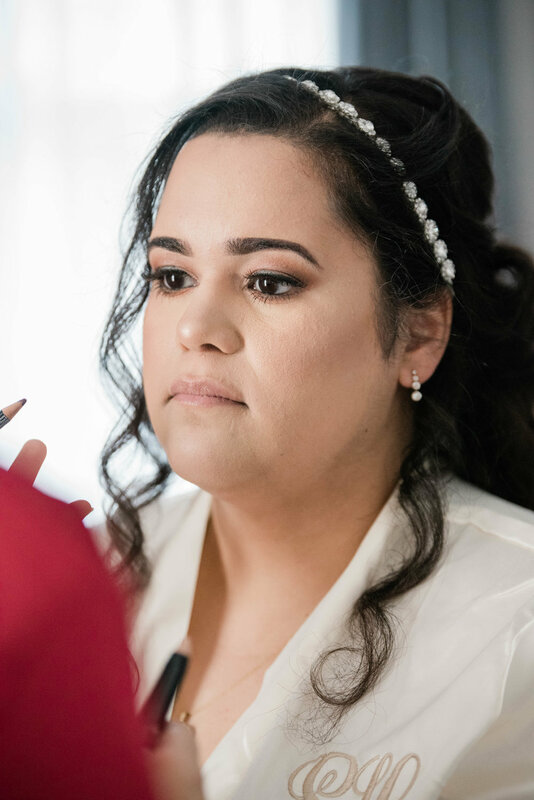 Stephanie's advice to other brides is to have the wedding that you want and do not worry about things that do not matter to you. "Don’t feel pressured to have the perfect Pinterest wedding plan. Simply plan your wedding, according to your own personal budget and tastes!" 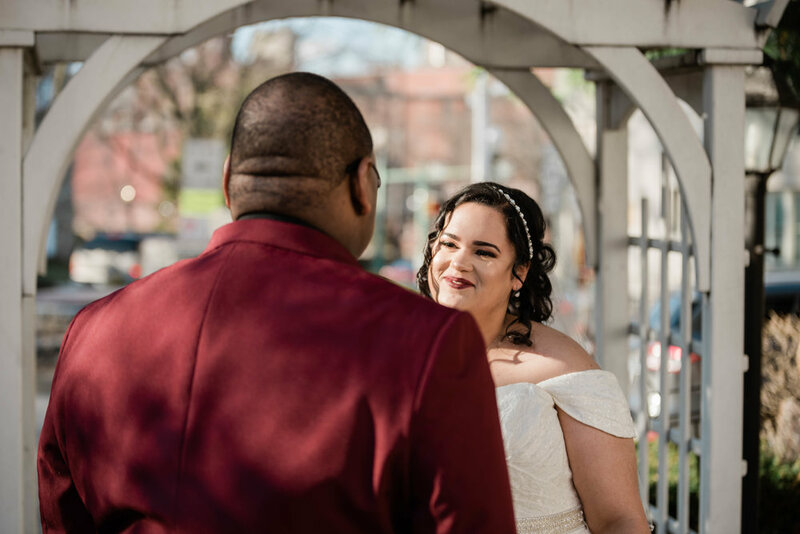 The couple loved their chic, intimate affair that they so meticulously planned. Everything was perfectly to their tastes and because they did not have a huge crowd, they had the time to receive kind words and well wishes from all of their dear ones and give proper thanks to everyone who helped make the night so special.